the University of Ado-Ekiti (2000) and Master in Math. Education, University of Ibadan (2002). 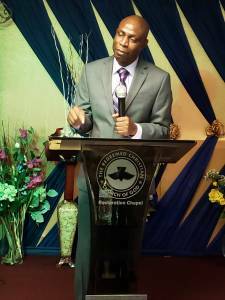 Amazing Grace, New Adeoyo, Ibadan, Nigeria which he pastored till his relocation to the U.S.
Pastor Victoria Okanlawon, a partner in the ministry with her husband is a Nurse by profession.